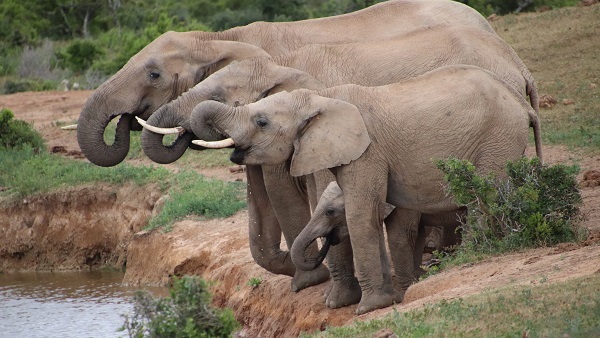 Elephants tend to move around in family groups led by a matriarch. 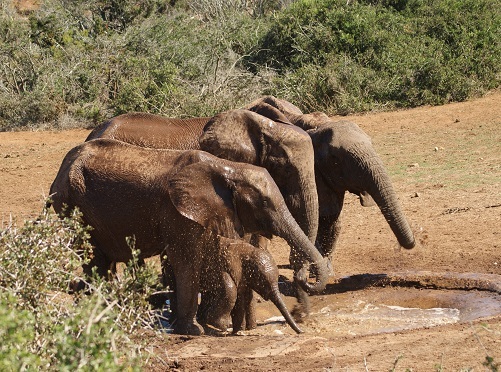 These elephants in such a group were quenching their thirst at Ghwarrie Pan in the Addo Elephant National Park. 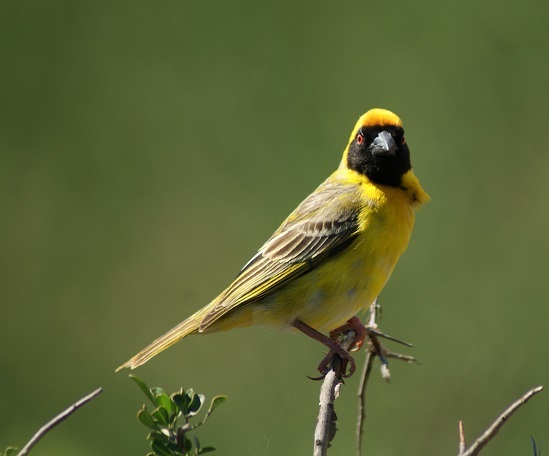 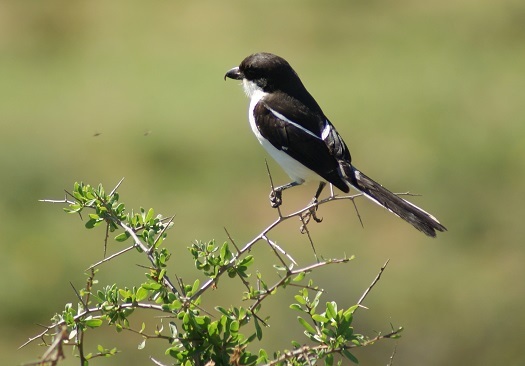 Male offspring are ousted from these closely-knit family groups once they reach the age of about twelve and they start to show a more than brotherly interest in the females. 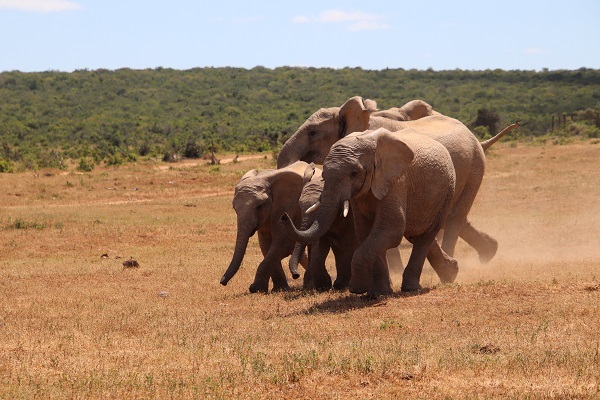 This must be a difficult period for these young bulls until they team up with other bulls or attach themselves to an older bull. 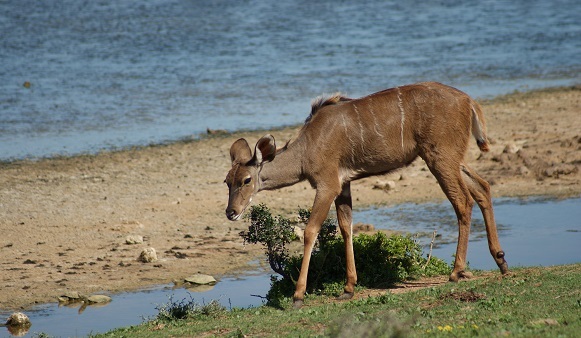 This young bull had followed the family group pictured above from a discreet distance. 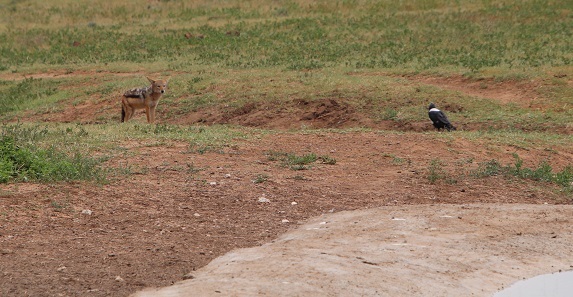 It refrained from joining them, but constantly smelled the ground they had covered. 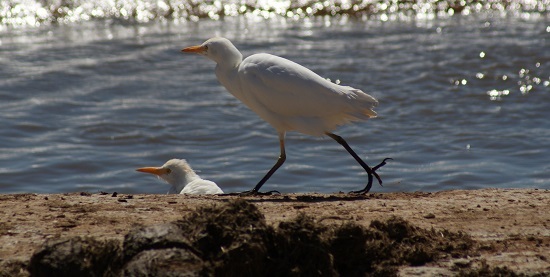 It waited patiently until the family group had crossed to the other side of the water before moving to where they had been drinking. 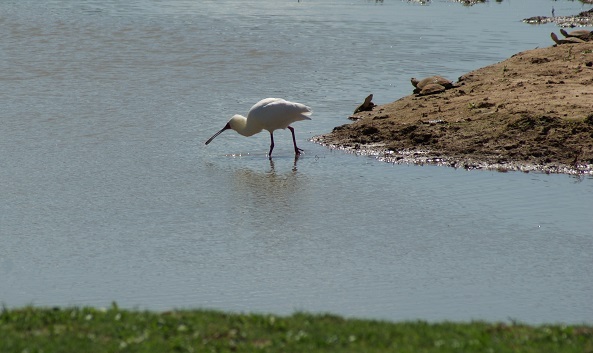 It was only once his former family group began walking towards the lip of the hill that he finally began to drink from their last position at the dam. 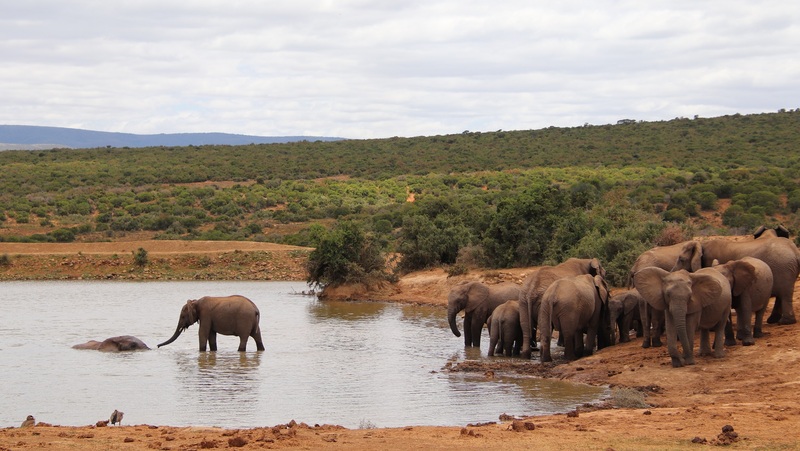 Hapoor waterhole is a marvellous place to spend time watching groups of elephants greeting each other, young ones playing with each other, or simply to observe the actions of these majestic animals. 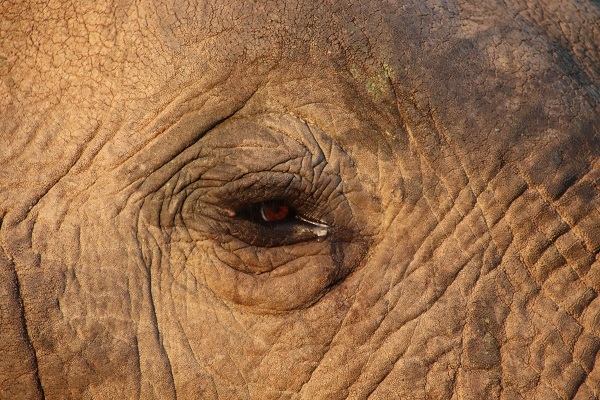 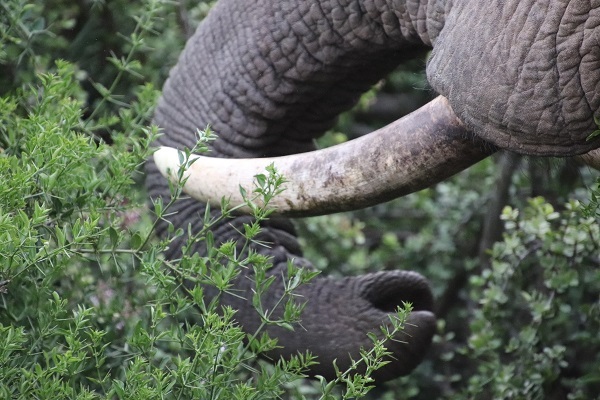 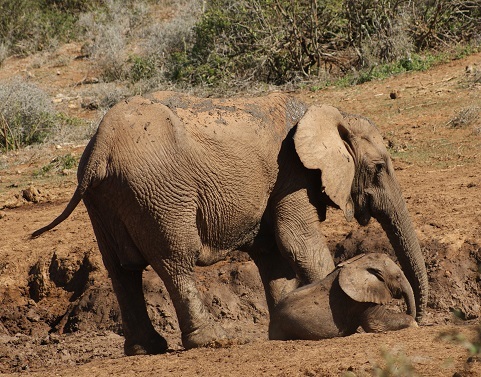 One shouldn’t become too complacent about the apparent gentleness or the tolerance the Addo elephants seem to have for tourists and their vehicles. 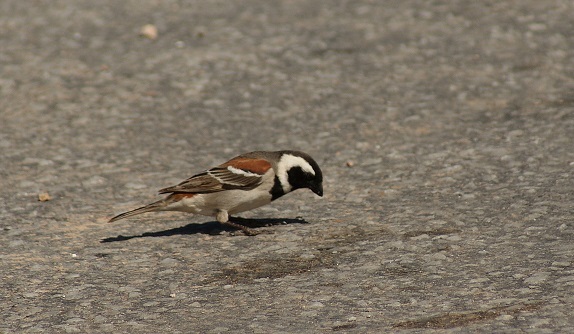 It is best to maintain a healthy respect for them, to give way to them, and to allow them the space the need to move. 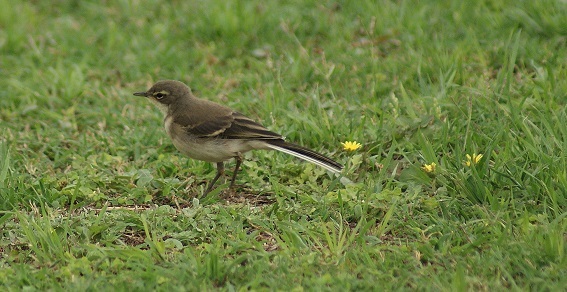 Could this be an African Pipit seen along the Woodlands road? 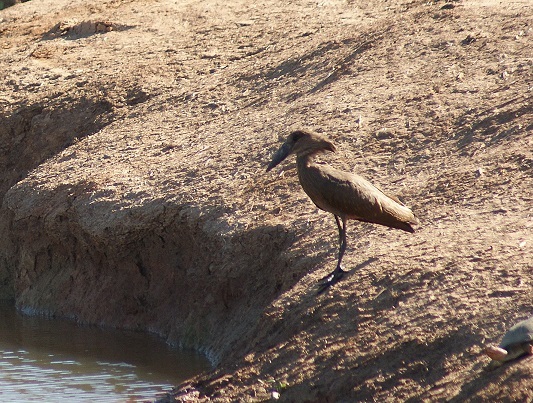 A Hamerkop kept a close watch out for food at Hapoor. 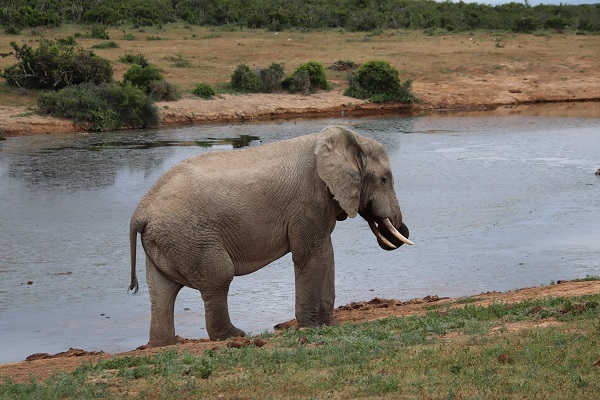 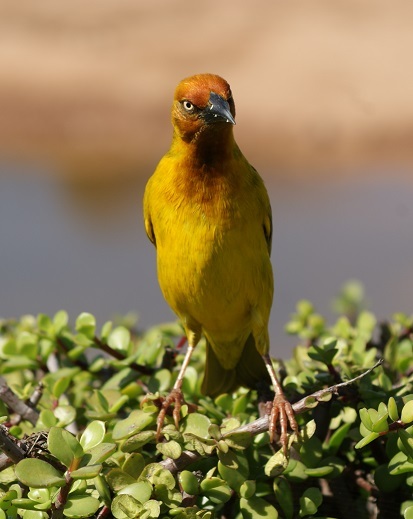 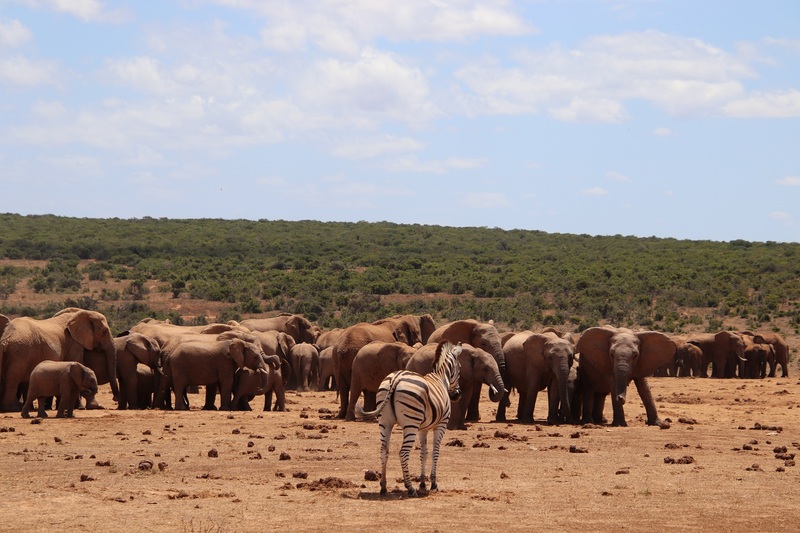 What better place to celebrate Earth Day than to spend time away from a built-up environment: we chose to visit the nearby Addo Elephant National Park. 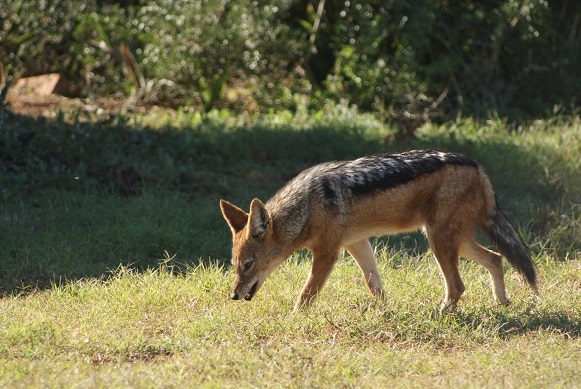 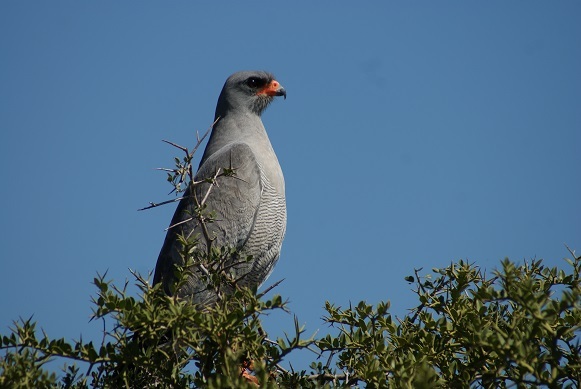 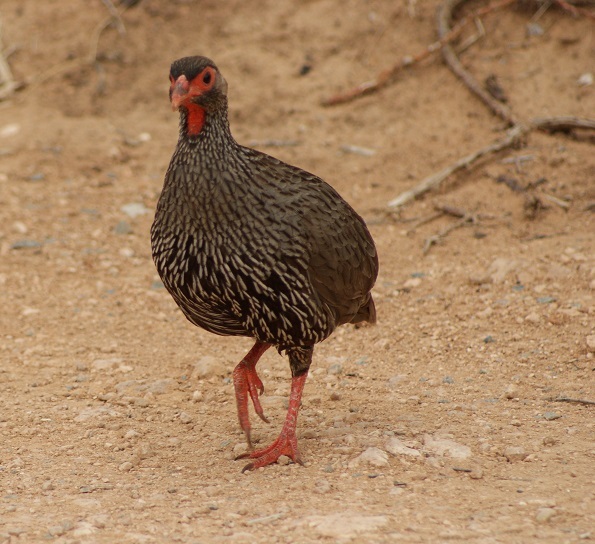 Some visitors had close-up views of lions, spotted hyenas and even a black rhino. 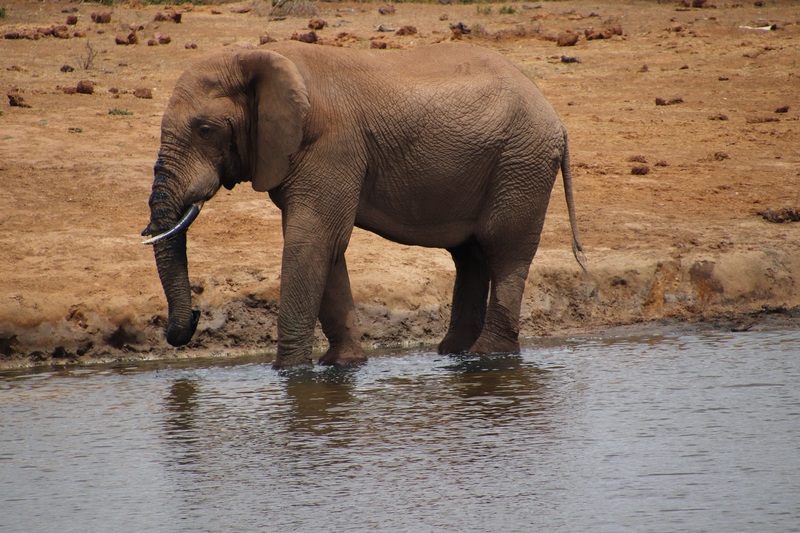 We didn’t draw that card, but observed a number of interesting things nonetheless. 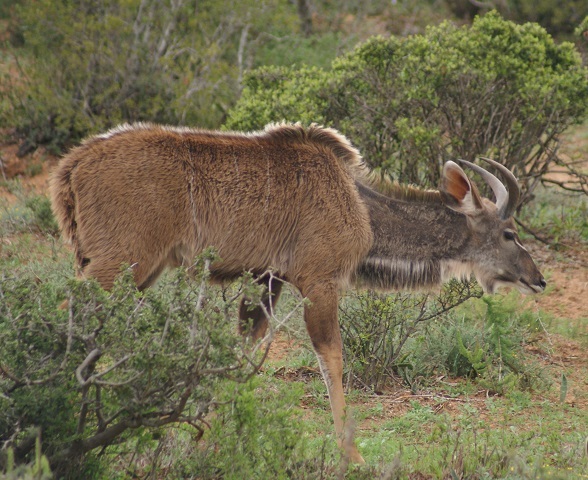 It is the rutting season for kudu. 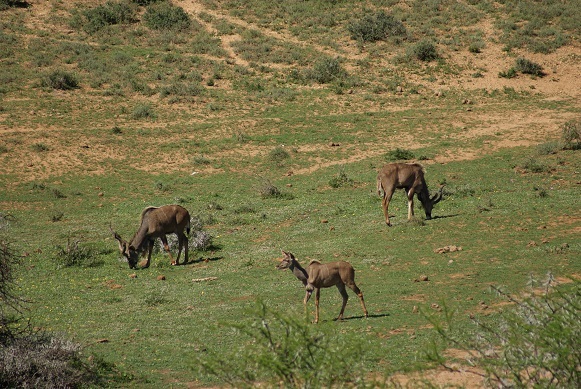 Large herds of kudu does accompanied by one or two males appeared in several sections of the park we drove through, especially around Rooidam. 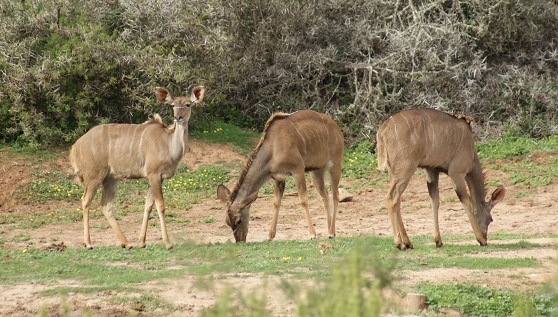 Our attention was drawn to a loud hollow-sounding ‘thunking’ noise close to the road: two kudu bulls were sparring; kicking up dust as they locked horns and pushed each other this way and that. 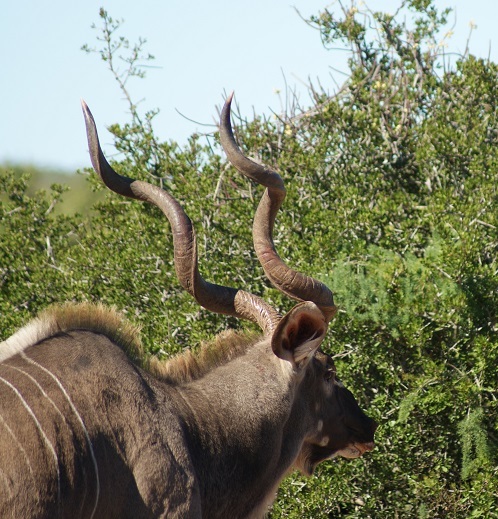 What magnificent horns they sported. 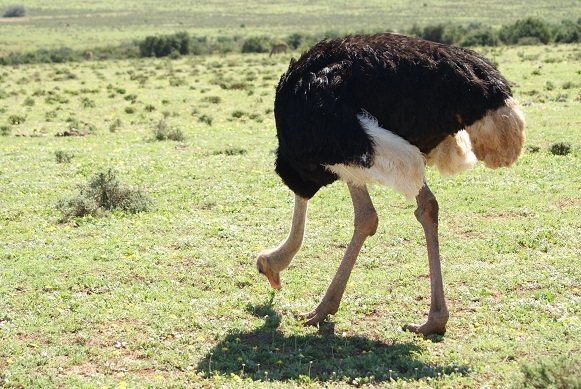 This is the victor of that encounter. 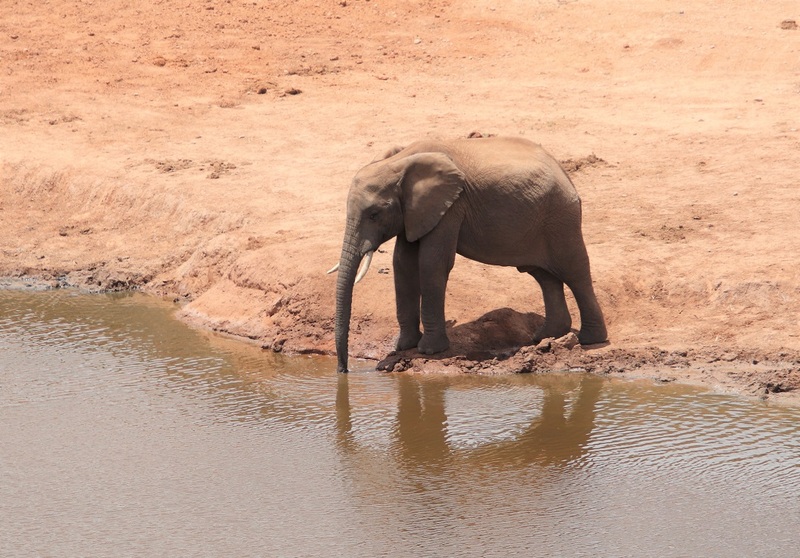 The heat drew herds of elephant to the bigger waterholes. 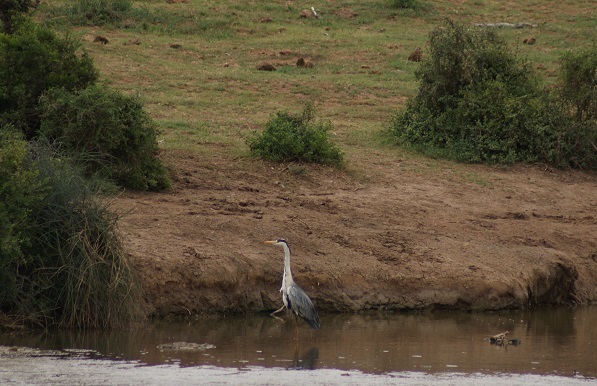 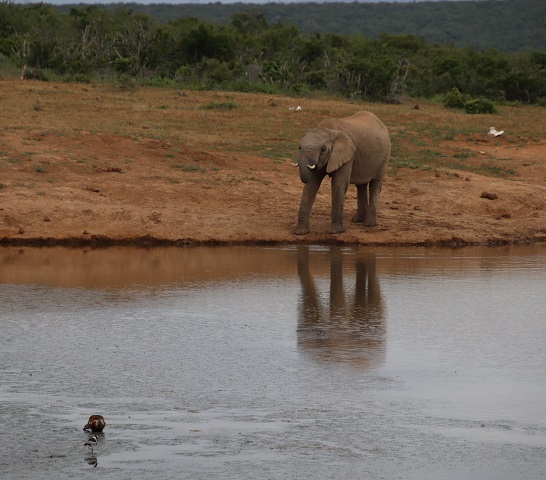 We watched a group of four adults and two youngsters approach the small Marion Baree waterhole. 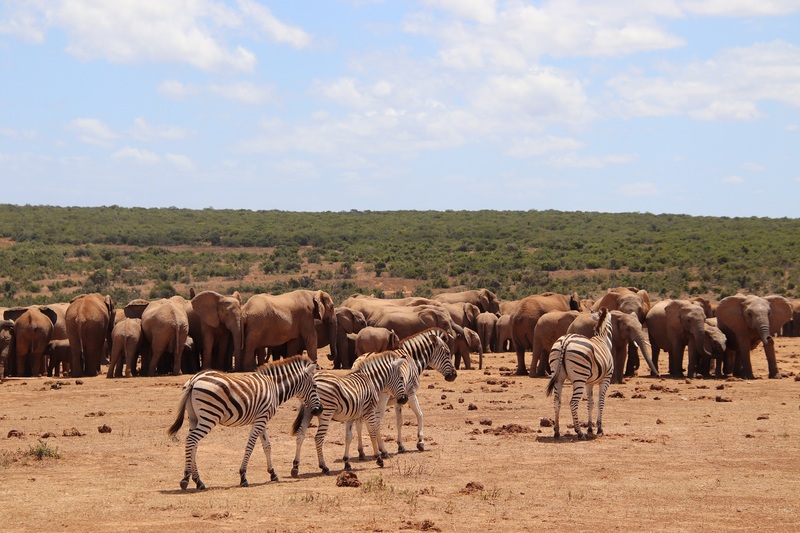 They sprayed themselves with water on arrival. 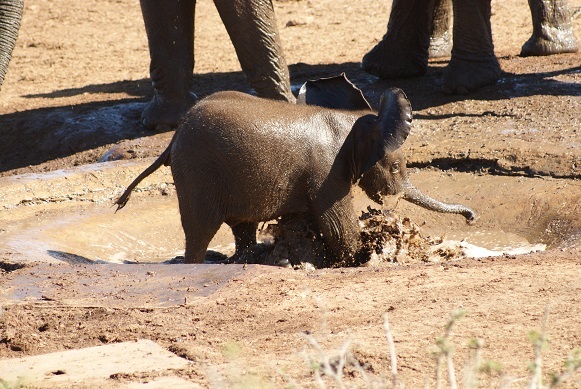 They then moved to the mud hole next door, where the elephants scooped up balls of thick mud to throw over their backs. 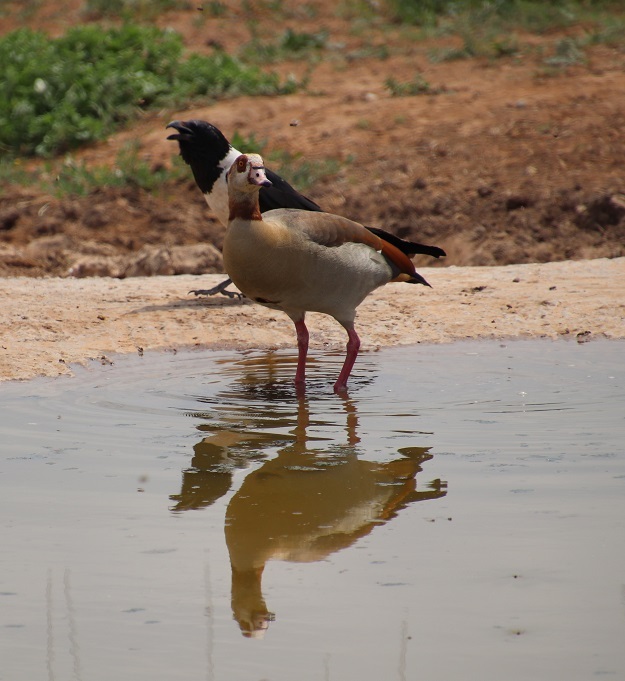 By then the water in the concrete-lined dam had settled so a few drank before watching patiently as a youngster claimed the shallow dam for its own fun. 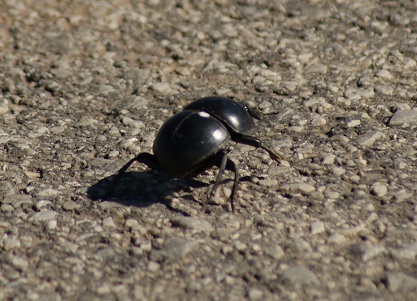 One has to watch out for dung beetles crossing the road at this time of the year. 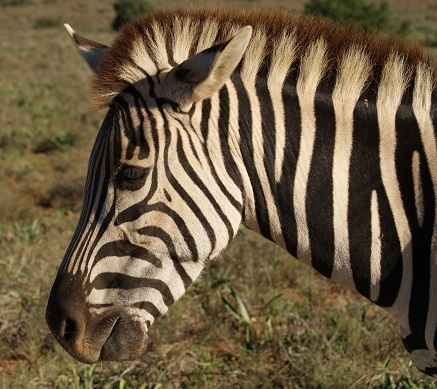 Zebras with their painted faces did not disappoint. 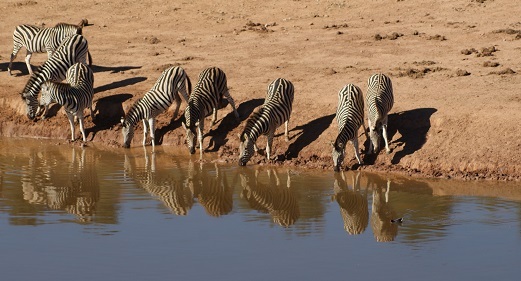 Several came to quench their thirst at Domkrag. 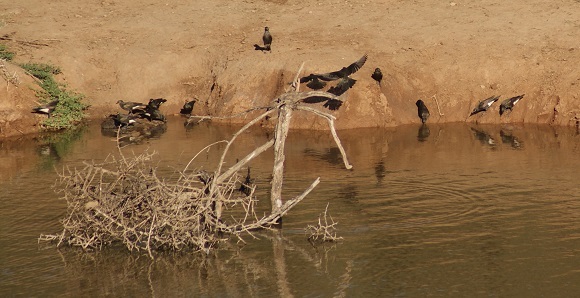 A large flock of Pied Starlings came to join them. 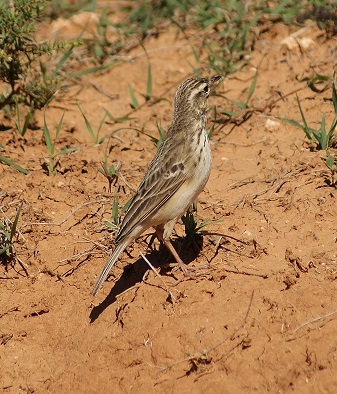 A Karoo Scrub Robin came to investigate. 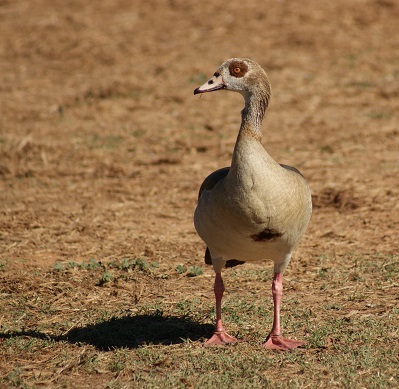 An inquisitive Egyptian Goose approached our vehicle at Hapoor. 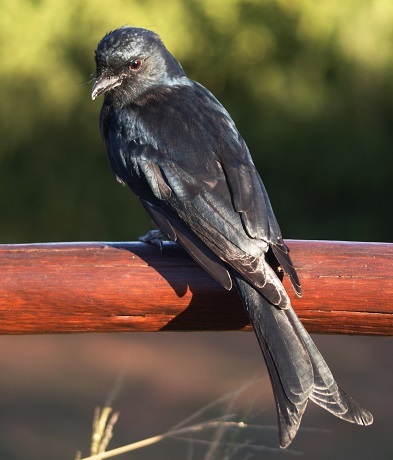 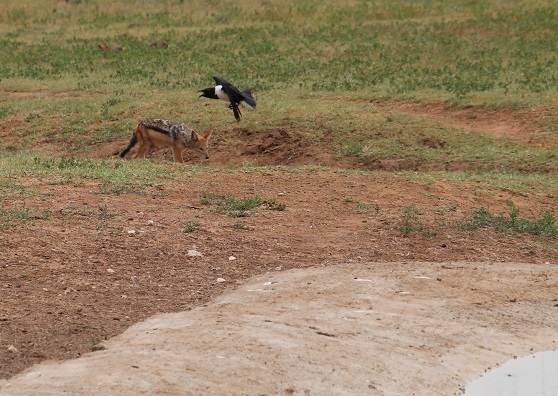 Several Fork-tailed Drongos kept an eye on us at the Rest Camp water hole. 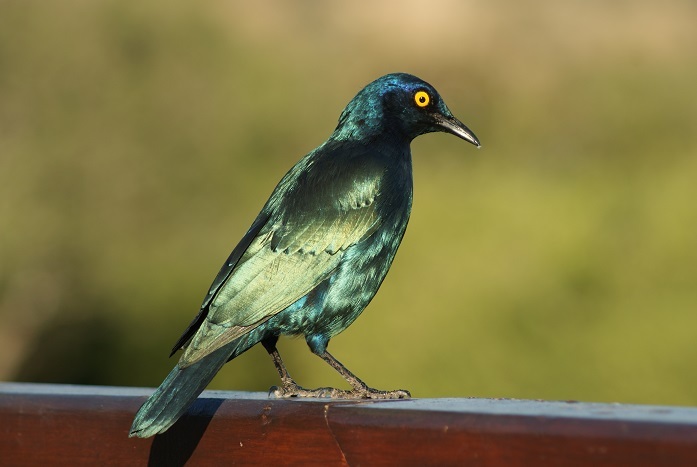 As did some Cape Glossy Starlings, looking magnificent in the late afternoon sunlight.